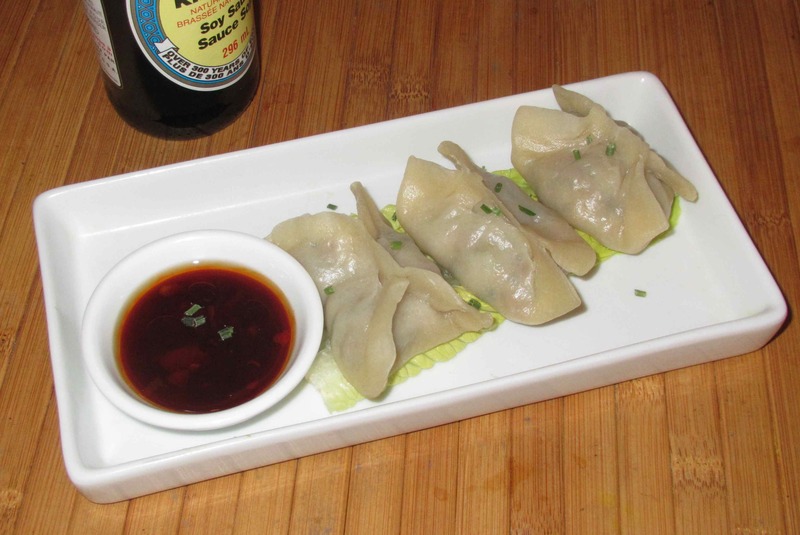 I had these particular dumplings at the Palais Imperial in Ottawa a while ago. They weren’t spectacular exactly, but they do get a mention for being a bit unexpected. The full name from the Chinese characters on the menu (see the inset in the above picture), read Ginger Scallion Beef Dumplings, which amplifies the English name by also specifying the scallion that is included, not as part of the filling, but as a steaming ‘companion’ along with the thick shreds of ginger. What is a bit odd is that the final character in the name is (jiǎo) which typically refers to a dumpling with a flour wrapper. 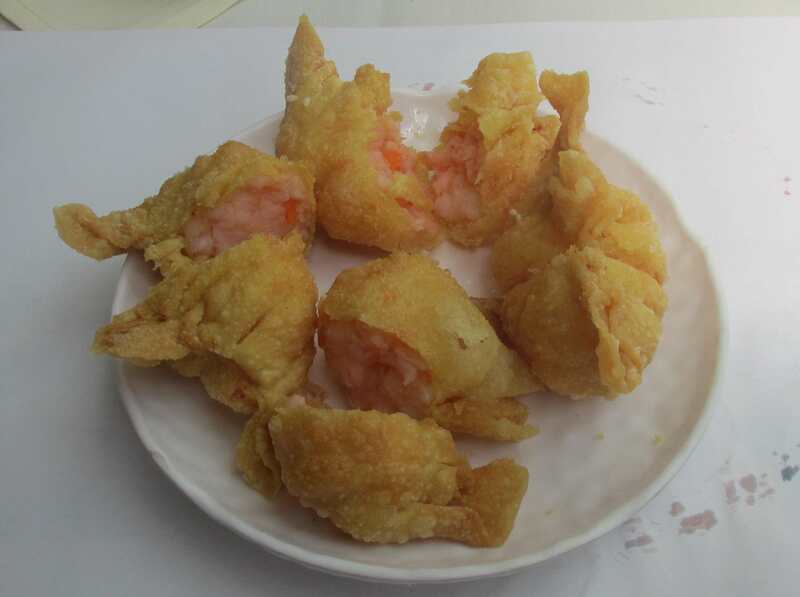 Here, a bean curd skin, also known as ‘tofu skin’ is used to enclose the filling. 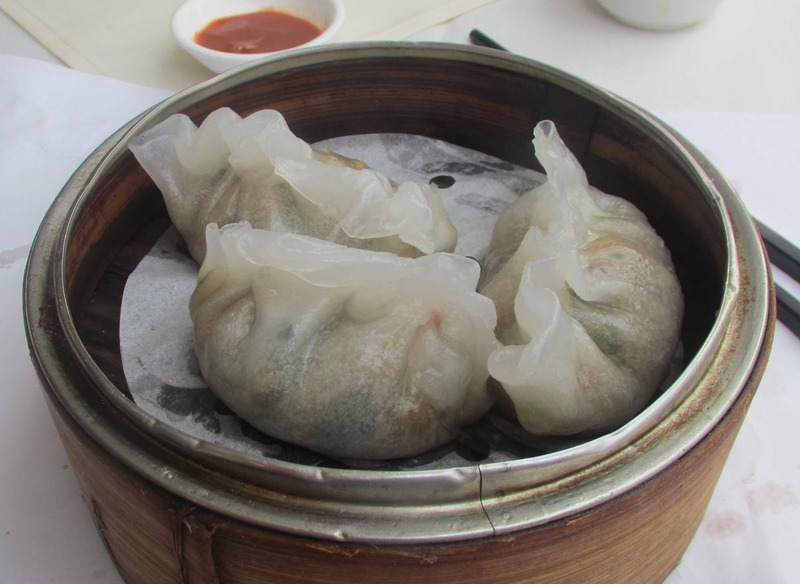 This product, which is purchased in dried sheets and then reconstituted, is often used to make steamed rolls in dim sum houses, but only occasionally to make dumplings in this shape. At Alirang, a tiny, but excellent Korean restaurant in downtown Ottawa, they had dumplings described on the menu as ‘Mandoo’ (Korean Dumplings) … I have seen the name Mandoo in cookery books before, or in its more common variant ‘Mandu’, and the Wikipedia entry for the term suggests that the word refers to a wide variety of native Korean dumplings. In truth, I don’t think this is the case as the word clearly descends from the same root as ‘Manti’ (central Asian dumplings) and ‘Mantou’ (Chinese steamed buns) … In the inset in the above picture, I have shown the menu entry, which includes Chinese characters for the name. 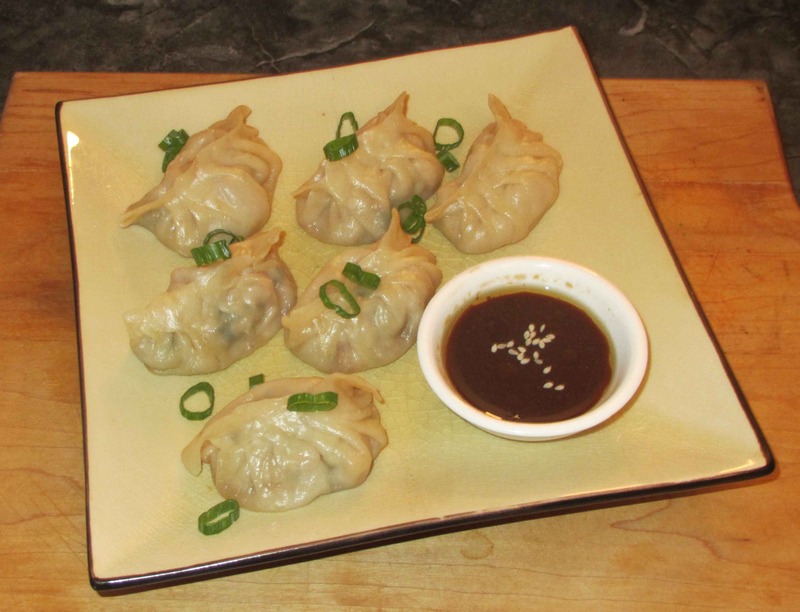 These solve the issue a little as they translate as ‘Korean style fried dumplings’ and suggest more a Korean twist on a standard Chinese classic rather than a purely Korean delicacy. These little dumpling preparations are ‘Fun Gor’ (or fěnguǒ in Mandarin) as is indicated by the last two characters in the Chinese name. This type of dumpling is characterized by the semi-translucent wrapper that is made using a combination of starches like cornstarch, or tapioca starch, and non-glutinous Wheat flour. The English name on the menu just calls them ‘mushroom dumplings’, but the first character does not translate as ‘mushroom’ but rather, in this context, as ‘vegetarian’. One of the classic Fun Gor is the Teochew Fun Gor, which contains ground pork and peanuts. These, however, appear to have been called ‘vegetarian’ as the filling rather mimics the Teochow variety by replacing the ground pork with mushrooms, chopped to leave a texture like ground meat, plus water chestnut in place of peanuts. There was also some celery in the mix along with, I am fairly sure, just a little bit of cilantro. 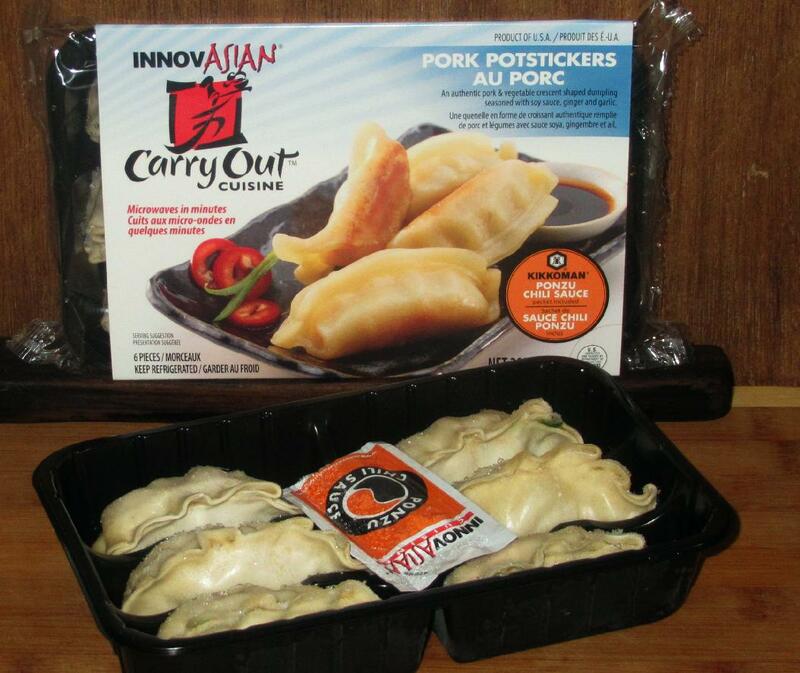 This type of dumpling has a starch based wrapper that is translucent when steamed. It is typically made with wheat or tapioca starch (or a combination thereof) and flour is sometimes added, with rice flour being the most common. 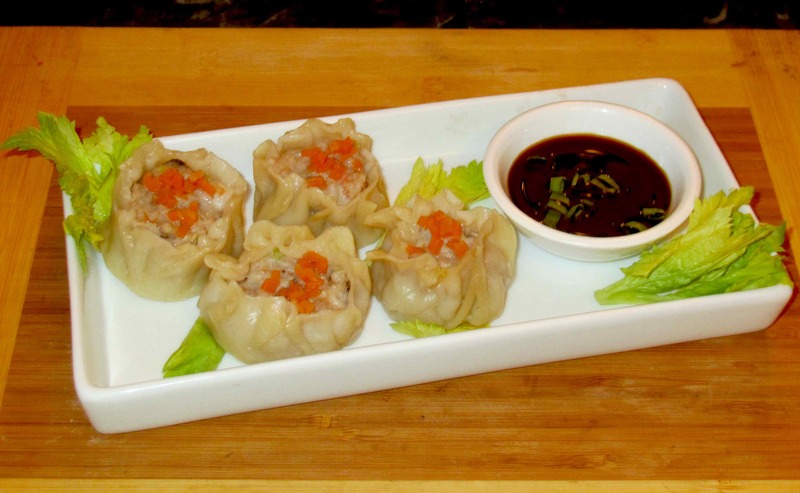 Pork and peanuts are invariable components of the filling but shrimp, both dried and fresh, are often included, as are white radish, black mushrooms, and cilantro. By the way (and for those interested), the first two characters in the Chinese menu name indicate Chaozhou (or Chiu Chow, etc.) while the middle character (pronounced zhēng, in Mandarin) means ‘steamed’. The last two characters identify the dumpling type and yield the ‘Fun Gor’ pronunciation but they are actually non-standard deviations from the typical menu listing . Usually, the characters 粉果 are used for this sort of dumpling (and the pronunciation is the same) but, here, the restaurant has employed 粉粿, instead. This makes a bit of linguistic sense in that the final character translates as ‘cooked rice for making cake’, but. In usual renditions, the standard character (果) means fruit. Anyone have any information on this point? I wasn’t quite sure what to expect when I ordered this particular dim sum offering. The final character in the Chinese menu name (角) usually indicates a dumpling made with rice flour and wheat starch but these had a wrapper that was more like those used for won tons and they also had the shape of dumplings generally identified using the 餃 character. At first, I misread the first two characters in the Chinese name as being ‘Celery’, and it wasn’t until after I placed the order that I recognized them as meaning ‘Cilantro’, which I heartily dislike. Fortunately, there was no hint of that herb (or celery either, for that matter) either visibly or in the taste. The filling was very nice and tasty but it was little drier and less tender than I expected. I doubt the restaurant would be as fraudulent as to substitute shrimp when lobster was clearly specified, but they must have used a western variety of lobster as it clearly was not the succulent east-coast sort. To my surprise, this dim sum was served with a little dish of mayo on the side. This really didn’t appeal to me, actually, and I just used a little soy sauce which went well. The wrapper was nicely crunchy and the overall experience was quite good. I have published quite a number of posts featuring the Chinese dumplings commonly known as ‘Jiaozi’, all of which are comprised of fillings of one sort or another wrapped in a dough made simply of flour and water. 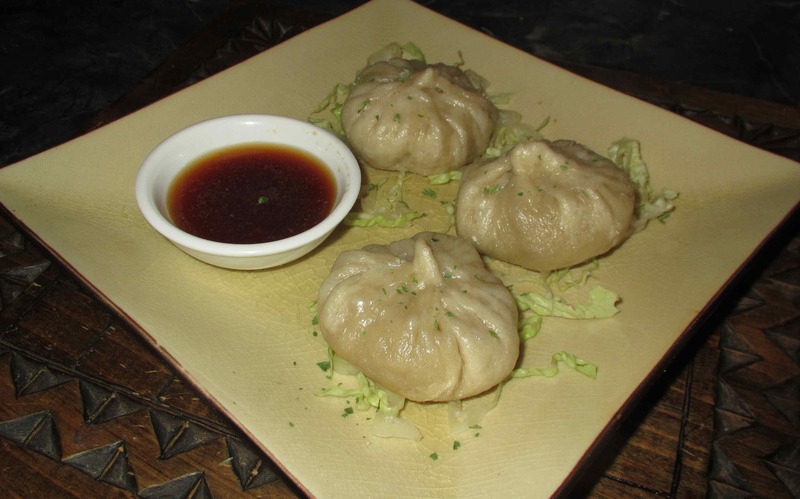 The similar sounding ‘Baozi’, on the other hand, are formed with a leavened dough and are more ‘bun-like’ generally, although the steamed variety (as opposed to baked), are very like steamed or boiled jiaozi except in the texture of the skin. Dim Sum aficionados will certainly be familiar with the dumplings most commonly known by their Cantonese name ‘Shu Mai’. They also appear on menus as shui mai, shu mai, sui mai, shui mei, siu mai, shao mai, siew mai, or siomai, but in Mandarin they are simply known as shāomài, and their name in Chinese (燒賣), simply means ‘cook and sell’.